CardChoice International welcomes all CPA’s to join our referral program! 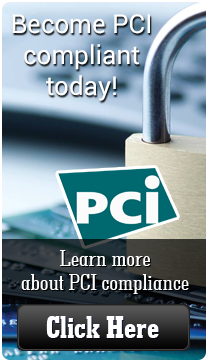 This program gives you the ability to offer credit and debit card payment processing services to your clients. CardChoice has been the trusted adviser to the New York State Society of CPA’s for the past six years! Participation in the program strengthens your relationship with your clients by helping them accept payments more easily, and depending on their accounting solution, may be integrated, eliminating the need for double entry. We have integrated solutions into Sage® and QuickBooks® accounting software. By referring prospects to CardChoice for your client’s merchant services needs, you can earn ongoing profit on referred merchants payment processing revenue or a one-time upfront payment. Our payment services integrate with many accounting product lines allowing your clients to better streamline their business processes. We also offer stand alone payment services for any business without an accounting product or a non-integrated product. Minimal work for you! We conduct the sales, handle the paperwork, and enroll your client. No risk or liability to you! A FREE MERCHANT STATEMENT REVIEW WILL SHOW YOUR CLIENT BASE THE MONEY THEY MAY NOT KNOW THEY ARE LOSING. If we cannot save your merchant money, we will pay them $250.00! Contact us today at 866.350.3200 to learn more about our Accountants Trusted Adviser Referral Program.